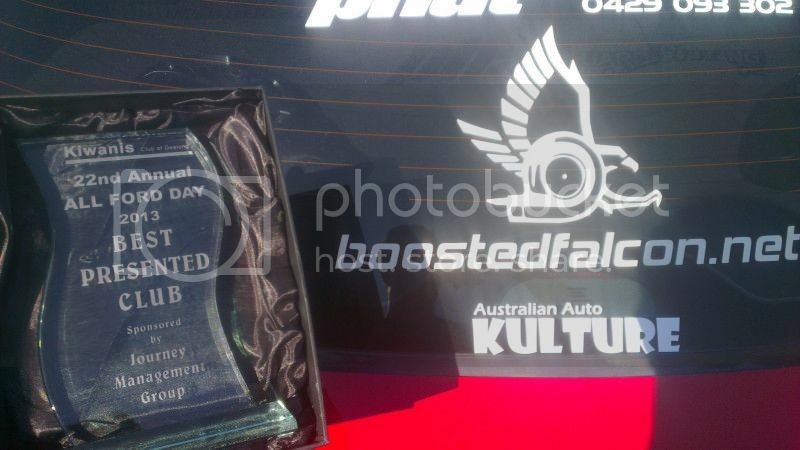 Boosted Falcon • View topic - BOOSTED FALCON WINS BEST CLUB DISPLAY AT ALL FORD DAY!!! 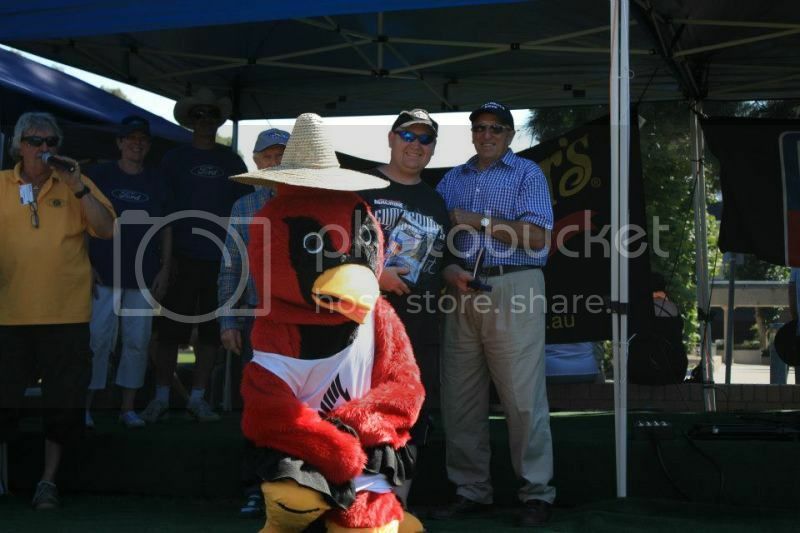 BOOSTED FALCON WINS BEST CLUB DISPLAY AT ALL FORD DAY!!! Well, we finally did it!!! 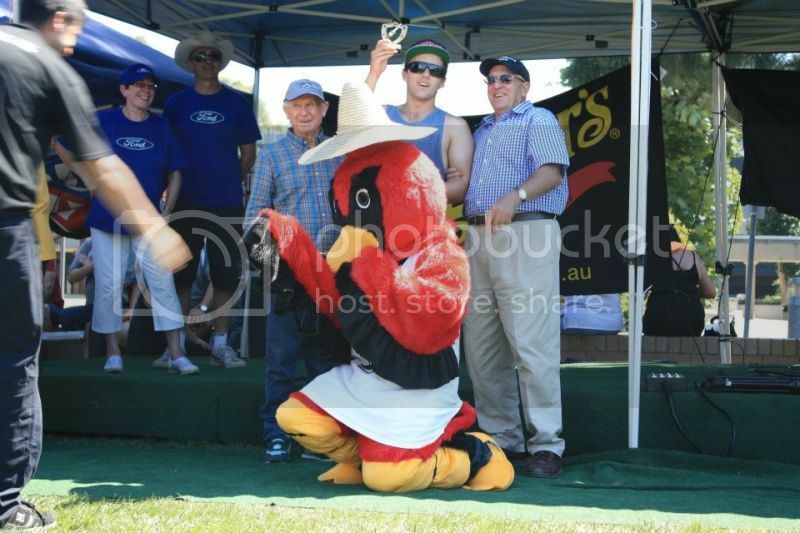 Boosted Falcon took home the trophy for "Best Club Display" at the 2013 Kiwanis All Ford Day in Geelong! 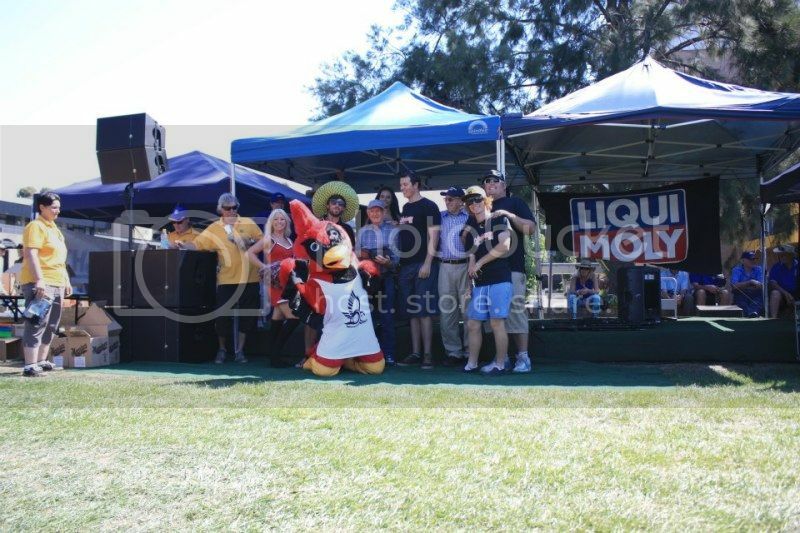 Well done to all who were involved with the day! 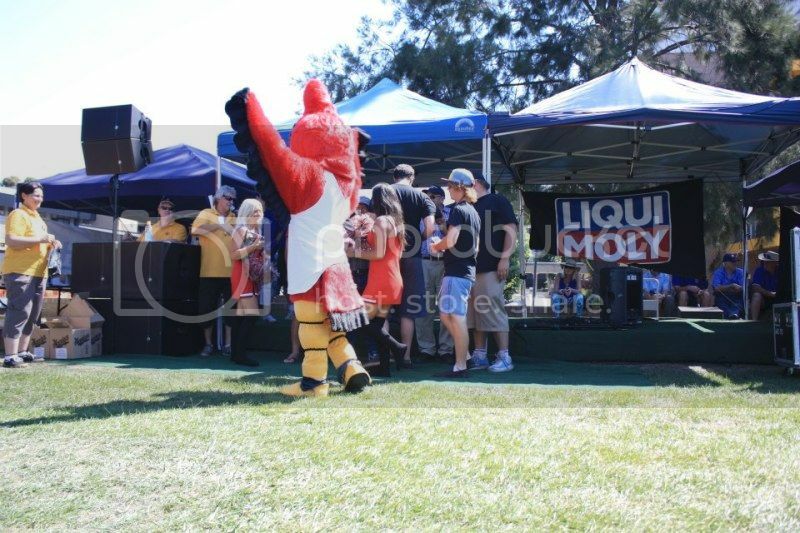 Re: BOOSTED FALCON WINS BEST CLUB DISPLAY AT ALL FORD DAY!!! 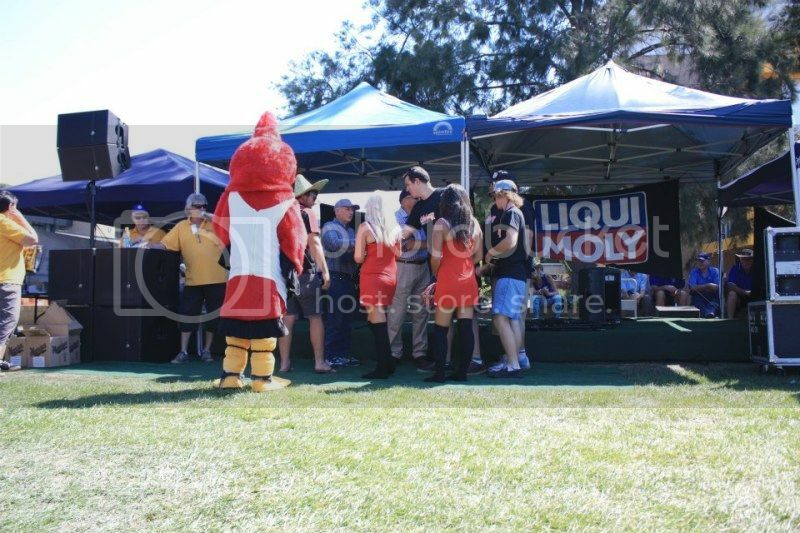 fark who was in the bird suit? they would have been cooking! Project car: Turbo ED build- Barra swapped, 60lb dekkas, 400lph walbro, turbo side intake, big cooler, el gt brakes, locked 4.11s, btr'd, smoothed engine bay, sunroof, fairmont GHIA interior. Chasing 10 sec quaters! Good stuff guys! Good to see all the hard work paid off, truly a well deserved award. 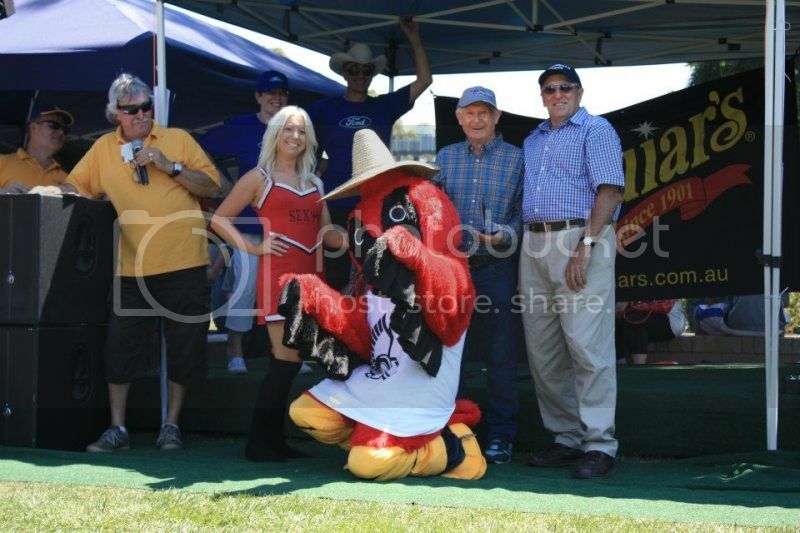 Hayden was in the suit @ the presentation, he was soaked when he got out lol. Congrats guys, well done to all responsible.